PhilSCAT participated during exhibits of different agricultural offices to showcase its banner programs –the Mechanized hybrid rice production and biogas technology. One of the exhibits was the Rice Fiesta sponsored by Central Luzon Agriculture, Aquatic and Resources Research and Development Consortium (CLAARRDEC) held at PhilRice, Maligaya, Science City of Muñoz, Nueva Ecija on November 12-13, 2018. The said event abide from the theme: “Farms and Industry Encounters through the Science and Technology Agenda”, which aims to showcase modern rice farming, different agricultural products to help the farmers earn bigger income and embrace the modern farming technology. Guest speaker, Rodrigo “Jiggy” Manicad, inspired farmers of through true to life experience and rice crisis in Leyte during the super typhoon Yolanda. The event was composed by farmers, researchers, students, and extension workers from Cuyapo, Guimba, General Tinio, Talavera, Science City of Muñoz, Nueva Ecija, Pampanga, La Union and Isabela. Rice R&D agenda was tackled by Barroga, Rice Varieties discussed by Oliver Manangkil from PhilRice, Aromatic Rice by Quirino Dela Cruz, PhD. of CLSU, and for the Developed pre and postharvest machineries explained by Michael Gragasin from PHilMech. The event was filled with festivity and dedication to all Filipino farmers from the performances of Joey Ayala, CLSU Maestro singers and Bungkos Palay Dance Company and activities such as PalarongPalay, on-the-spot poster making contest and rice-inspired fashion show. On the other hand, PhilSCAT also joined Goat FIESTA or Farmers and Industry Encounters through S&T Agenda spearheaded by CLARRRDEC in partnership with the Provincial Local Government Unit-Provincial Veterinary Office, CLSU Small Ruminant Center and Bataan Peninsula State University held at Bataan People’s Center, Balanga, Bataan last November 21-22, 2018. With the theme “DIWANG: Makabago at Tradisyon na Teknolohiya sa Agricultura at Pangisdaan, Handog sa Pilipinong Magsasaka”, the GOAT FIESTA intends to showcase technologies generated by experts, not only through exhibits and technology pitching but also through the culture and arts. More than 2000 farmers, students, women’s cooperatives/group, researchers, stakeholders and academician attended the event. Gov. Imee R. Marcos and Senator JV Ejercito graced the event as Guest Speakers. “Make Agriculture great again”, on her message Marcos said. In addition, Ejercito and Marcos emphasized on providing support to further boost the goat raising program in the region, they also encouraged young minds especially the youth to engage in agriculture, respectively. Marcos and Ejercito assured that they will provide support in goat raising program in the region. One of the objectives of this event is to reach the clienteles –farmers, students, extension workers and other stakeholders through culture and arts. Goat Show, Palarong Kambing, on the spot Poster Making Contest, Agrisarap: A Chevon-based Culinary Arts Festival, Photo and Video Documentary Competition were also done. 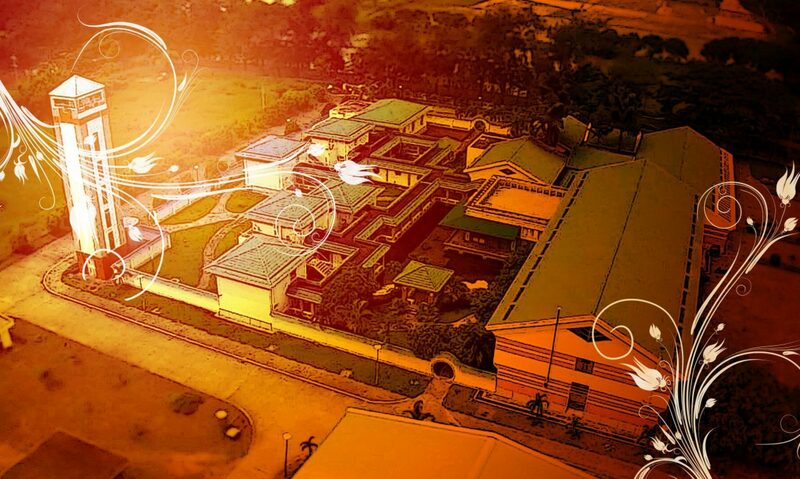 CLAARRDEC is a conglomeration of 29 institutions conducting and promoting research and development in agriculture, aquatic, forestry and natural resources in Central Luzon. The Philippine-Sino Center for Agricultural Technology (PhilSCAT) in partnership with Agricultural Training Institute- Regional Training Center 13 (ATI-RTC 13) trained Caraganon farmers on Rice Machinery Operations: Focus on Mechanical Rice Transplanter and Double-Mulching Technique under Makina Teknik Program or “Mekanikal na Teknik sa Pagtatanim ng Palay”, conducted on October 16-19, 2018 (first batch) and October 23-26, 2018 (second batch) held at Los Angeles, Butuan City. A total of 56 farmers; 5 female and 51 male recipients and would-be recipients of mechanical rice transplanter from Agusan Del Sur, Agusan Del Norte, Surigao Del Sur, Surigao Del Norte and Dinagat Island graduated on the said training. The highlight of the four-day intensive training were focused on the proper operation, maintenance and troubleshooting of Mechanical Rice Transplanter (MRT) and proper seedling preparation using Double-Mulching Technique (DMT). DMT is an alternative method of seedling preparation which can intensify the adoption of the mechanical rice transplanting technology because it uses low cost materials available in the market. The imperative objective of the training is to support the sustainability of present farm mechanization program of the Department of Agriculture, ensure better opportunity for people that may be displaced by mechanization and boost farmers production, yield and income. Makina teknik also envisioned to enable full utilization of mechanical rice tranplanter towards increased rice productivity and solved the underutilization of transplanter distributed in the cooperatives by the Department of Agriculture-Regional Field Offices. The training course module was developed by the Center’s experts with 30% lecture and 70% hands-on activities. “Malaking tulong itong training sa amin para magamit na namin ang aming mga mechanical rice transplanter. Ang ganda ng training concept at ang saya maghands-on,” said Ritchie A. Nemeno, the most active participant of the first batch. Moreover, Edmar C. Silagan declared as the most improved participant of the first batch while Roxanne Faith Z. Indedano as most improved trainee having the highest knowledge gained increment based on the pre and post-test and Nestor B. Dapar as most active participant of the second batch. Crop care and management was also discussed by the Chief of Technology Products and Development Division (TPDD) of PhilSCAT, Carlos C. Abon, Jr, PhD. from sowing to harvesting activities to boost farmers’ yield and income with less production cost. Furthermore, farmer champ and a millionaire from Isabela, Engr. Romeo Vasquez inspired Caraganon farmers thru his humble beginning story in adapting farm mechanization program of the government and interventions to further boost his income. Emmanuel V. Sicat, PhD, Director of PhilSCAT, Abon, Calonzo, and Engr. Matt Andrew Baquiano, training specialist of ATI-RTC 13 graced the graduation ceremonies. “Maraming salamat sa ATI-RTC 13, sa pagtitiwala upang kami ay magbigay ng pagsasanay sa mga farmers ng CARAGA na nakatuon sa tamang paggamit ng makinaryang pangtanim katuwang ang tamang pag-aalaga ng punla,” said Sicat in his message. PhilSCAT posters entitled “Biogas Technology: An Eco-Friendly Waste Management System for Rural Backyard Raisers” by Ramil R. Carbonel and Patricia P. Bernal bagged the 1st place for best poster while the poster entitled “Training on Integrated Pest Management for PhilSCAT and selected CLSU staff” by Val C. Garcia, Ramil R. Carbonel, won the 3rd spot both in development category during the Central Luzon Agriculture, Aquatic and Resources Research and Development Consortium (CLAARRDEC) 29th Regional Symposium on Research and Development Highlights hosted by Tarlac Agricultural University (TAU) at Camiling, Tarlac on September 28, 2018. Anchored with this year’s theme, “Postering Creativity, Innovation and Resiliency in a Challenging S&T Environment”, the partcipants –scientist, researches, communicators, extension workers, policy makers, student and farmers were given the privilege to interact with the technology generators and be able to evaluate and give feedback regarding the potentials of such emerging technologies and innovations. Max P. Guillermo, PhD. president of TAU, Honorio M. Soriano, PhD. president of Pampanga State Agricultural University (PSAU), Tereso A. ABella, PhD., president of Central Luzon State University (CLSU), Maria Excelsi M. Orden, director for Research of CLSU, and Fe L. Porciuncula, PhD., director of CLAARRDEC graced the said event. “TCA, now TAU, earned its current standing as SUC Level IV due to the initiative of the administration and faculty-researchers to produce relevant researches and technologies that would help the community partners and farmers in the region,” said Guillermo in his keynote speech. The poster competition were evaluated by Jovita B. Agiam, PhD. of PLGU-Nueva Ecija, Alicia T. Nicolas of PLGU-Bulacan and Inah Cristia M. De Jesus of NEDA 3. Posters were evaluated by its quality, clarity of message and visual impact. For the research category of poster competition, “Dairy Goat Performance Analysis for Improved Productivity” won as the best poster, while “Enhancing Milk Production of Dairy Goats thru indigofera zollingeriana Supplementation” and “Development of Non-Destructive Moisture Meter for Green Coffee Beans” won the 2nd and 3rd place respectively. The said regional symposium is an annual undertaking of the consortium that aims to facilitate the presentation and evaluation of technologies, significant research results and innovations ready for promotion and/or commercialization. The Philippine-Sino Center for Agricultural Technologies (PhilSCAT) participated on the 2018 Wet Season Lakbay Palay of the Philippine Rice Research Institute (PhilRice) held at Science City of Muñoz, Nueva Ecija on September 26 to 27, 2018. PhilSCAT as one of the exhibitors in Lakbay Palay, promotes its very own seamless spherical biogas digester, double-mulching technique and hybrid rice varieties such as Mestiso 38 and Mestiso 82. Anchored with the theme “Sa Tag-ulan, I am ready”, the said event focused on the promotion of tips and technologies that will help minimize and manage crop losses during wet season. Moreover, the 2-day event also served as venue for different suppliers of farm technologies and an avenue of knowledge exchange and innovative farming techniques towards increase farm productivity and income. About 1,500 participants composed of farmers, researchers, students and extension workers from all over Luzon participated in the said event. Farm visits, exhibits, distribution of seeds and rice knowledge products and onsite expert consultations were the activities included for this season’s event. Moreover, field tour on the FutureRice Farm, Palayamanan Plus, breeder seed production, and the newly-launched Rice Science Museum that offers revolutionary “phygital” (physical-digital) experience on rice-farming were also one of the highlights of the Lakbay Palay WS 2018. “Sobrang halaga ng Lakbay Palay na ito para sa aming mga magsasaka, dahil nadaragdagan kami ng mga bagong kaalaman sa agrikultura lalo na sa pagsasaka lalo na ‘yung biogas na ginagamit sa babuyan para sa dumi ng mga baboy,” said Ralph Roxas, 54, one of the participants of the event. Leila Baldedara, PhilSCAT research assistant won the 3rd spot for scientific poster competition entitled “Development of PhilSCAT CMS Lines Utilizing Rapid Generation Advance (RGA) Technique” during the 30th CLSU In-house Review at the RET Amphitheatre on August 29 to 30, 2018. Among the 20 scientific entries, only three posters were chosen. The first place was won by the team of Neal del Rosario of Small Ruminant Center (SRC) with their project title “Dairy Goat Performance Analysis for Improved Productivity”, followed by the posters on “Soybean Utilization and Product Development” by the team of Thelma Estera and the poster entry by the team of Baldedara. Meanwhile, there were 53 on-going and completed R&D programs, projects, and studies presented by the researchers which were mostly related to agriculture and fisheries. The team of Erick Allaine C. Flores of PhilSCAT also presented their on-going project under the research category on farm resources and environment entitled “Formulations of Organic Pesticides from Siam Weed (Chromolaena odorata) as Eradicant/repellent Against Rice Weevil (Sitophilus orayzae) on Storesd Rice (Orayza Sativa) Seeds”. Anchored on the theme “Engaging Young Brains towards Sustaining Science Gains,” President Tereso A. Abella of CLSU encouraged the youth to seek and innovate for impact. “Let us mentor these young minds who will carry on the torch that will bring more breakthroughs and goodwill to all,” he said. Dr. Fe L. Porciuncula, Vice President for RET hoped that through the presented completed R&D projects, new content or information will be identified that can be packaged and disseminated into different IEC (Information, Education, and Communication) materials for possible commercialization. Biogas technology being one of the banner programs of PhilSCAT has been one of the attractions in the recently conducted Regional Science and Technology Week (RSTW) in Tarlac City from August 1-3, 2018. The RSTW is an annual event spearheaded by the Department of Science and Technology aims to highlight the achievement and contribution of the science and technology sector as it relates to national development. Meanwhile, Governor Susan Yap lauded the various initiatives, efforts and interventions of Department of Science and Technology (DOST) that greatly benefitted her province. “It is truly a great honor and privilege to be the host and be part of this timely and significant event as we embrace the various developmental processes such as modernization, innovation, industrialization and massive application of globalization policies,” Yap said during the opening of the 2018 Regional Science and Technology Week. According to JC V. Sicat, regional director of DOST-Calabarzon, the event serves as a show window for Filipino ingenuity, innovation and science and technology developments. “We should pursue technologies that are world-class, relevant and region-based to make the people know that they are part of the progress,” Sicat added. particularly on space technology (Diwata I and Diwata II) and Project SARAI (Smarter Approaches to Reinvigorate Agriculture as Industry in the Philippines). Through the RSTW, the province of Tarlac unveiled an environment-friendly vehicle called SPInCart or Solar Power Innovative Cart in collaboration between DOST and Tarlac State University to possibly address the increasing prices of fuel consumption in the region. PhilSCAT and Agricultural Training Center – Regional Training Office Region 13 (ATI-RTC 13) signed for another training collaboration through a Memorandum of Agreement (MOA) for the two batches of training under the Center’s Makina Teknik Program at PhilSCAT Conference Room last September 4, 2018. The four-day training entitled “Training on Rice Machinery Operations Focus on Mechanical Rice Transplanter and Double-Mulching Technique aims to develop the participants’ skills and knowledge on rice machinery operations especially in using the mechanical rice transplanter. According to Engr. Matt Andrew Bacquiano, ATI-RTC 13 training specialist he proposed this training to help them address the hindrances in the full utilization of mechanical rice transplanters in CARAGA Region which largely constituted of government grants. He said that DA-RAED reports shows out of ______ mechanical rice transplanters given by the Department of Agriculture only _____ were utilized by cooperatives and the rest were non-operational due to lack of knowledge and technical know-how on its operation and maintenance. “This training is not in our regular training budget, but I believe it is very timely that is why I did not have second thoughts to propose the Makina Teknik to ATI Central Office,” Bacquiano added. The said two batches of training will be conducted at ATI-RTC 13, Los Angeles, Butuan City on October 16-19, 2018 and October 23-26, 2018, respectively. Meanwhile, PhilSCAT Director Emmanuel V. Sicat assures the over-all conduct and implementation of the training for it is the first time that it will be conducted outside the Center’s premises. ATI RTC 13 will provide the budget for the whole duration of the trainings and the selection of the participants while PhilSCAT will provide the over-all conduct of the training and technology transfer. The third technical cooperation in the field of agriculture between the Philippines and the People’s Republic of China was officially inked during the ceremonial signing of the Implementation Agreement and Overall Implementation Scheme for the Philippine-Sino Center for Agricultural Technology (PhilSCAT) held at the Department of Agriculture, FOS Conference Room on August 14, 2018. Engr. Ariel Cayanan, Undersecretary for Operations of the Department of Agriculture, signed in behalf of the Republic of the Philippines. On the other hand, Mr. Du Daxiang, Director of ASEAN and Southeast Asia Division of the Agency for International Economic Cooperation of the Ministry of Commerce, signed for The People’s Republic of China. Ms. Yang Ming, Second Secretary of the Economic and Commercial Counselor’s Office of the Embassy of the People’s Republic of China in the Republic of the Philippines; and Dr. Tereso A. Abella, President of Central Luzon State University, both served as witnesses to the said agreement. The 3-year project with a total grant of RMB 27.52 Million will be implemented in Region 3 particularly in the provinces of Nueva Ecija, Pampanga and Tarlac and in Region 11 specifically in Davao Oriental. China’s Ministry of Commerce and the Philippine’s Department of Finance are the project’s lead implementing agencies while Yuan Longping High tech Agriculture Co., Ltd. (PROC), Department of Agriculture with CLSU will be the executing agencies, respectively. The third Phil-Sino cooperation aims to produce high yielding and quality hybrid rice varieties in the Philippines by improving its existing agricultural; research, production and promotion competencies through the Philippine-China cooperation and the utilization of PhilSCAT-bred varieties and technologies by Filipino farmers to accelerate rice sufficiency.